Samsung's upcoming Galaxy S10 lineup is one of the most anticipated product launches for the first half of 2019, and rightly so - we expect the South Korean domineering force in the Android space to one-up itself in most and every key aspect in comparison with last year. With a more than intriguing feature set and hopefully substantial improvements in both battery life, overall performance, and camera quality, the Galaxy S10 lineup will have to carry the torch and prove that Samsung will tread through 2019 in a strong manner. So, we expect a whole lot of 5 phones to be unveiled at Samsung's event just days before MWC'19 starts - the entry-level Galaxy S10e, the Galaxy S10, the S10+, the S10 X 5G, and the foldable Samsung Galaxy device that has been teased for a while. 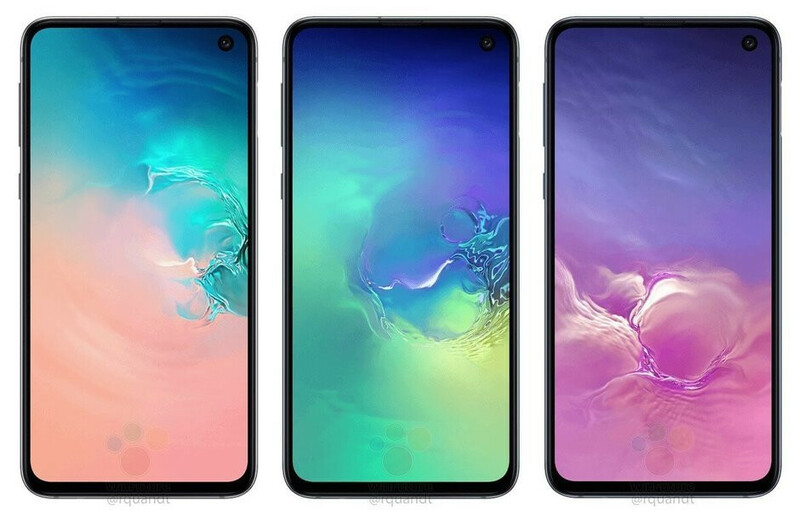 The last two are a shrouded in a bit more mystery than the more "mundane" Galaxy S10 models, which have all been extensively leaked. Here's a tabular summary of all you need to know about the upcoming Galaxy S10 lineup. The Galaxy S10 and S10+ retain Samsung’s signature curved edge display and the now standard aluminum-glass sandwich design that has been used on almost any flagship device for the past few years. The two devices will differ mostly in size and number of selfie cameras. 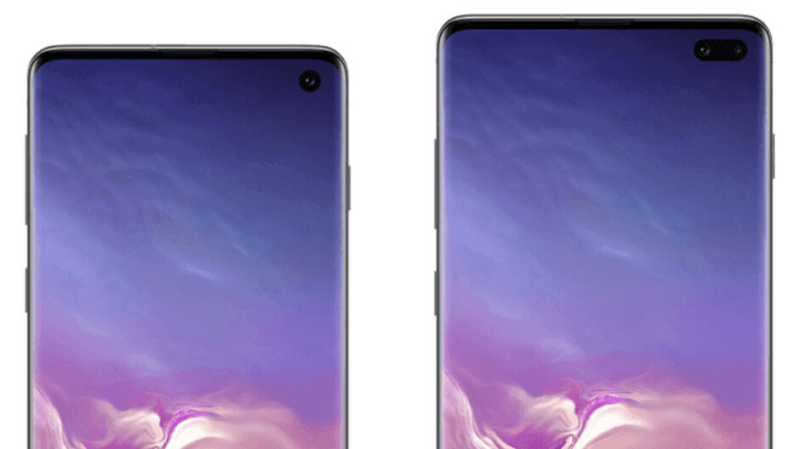 Unlike previous-generation Samsung devices, though, a pill-shaped display hole in the corner of the panel has been included and is home to two selfie cameras. Elsewhere, the side bezels appear almost invisible, while the top and bottom bezels have decreased significantly, creating a much more uniform look. 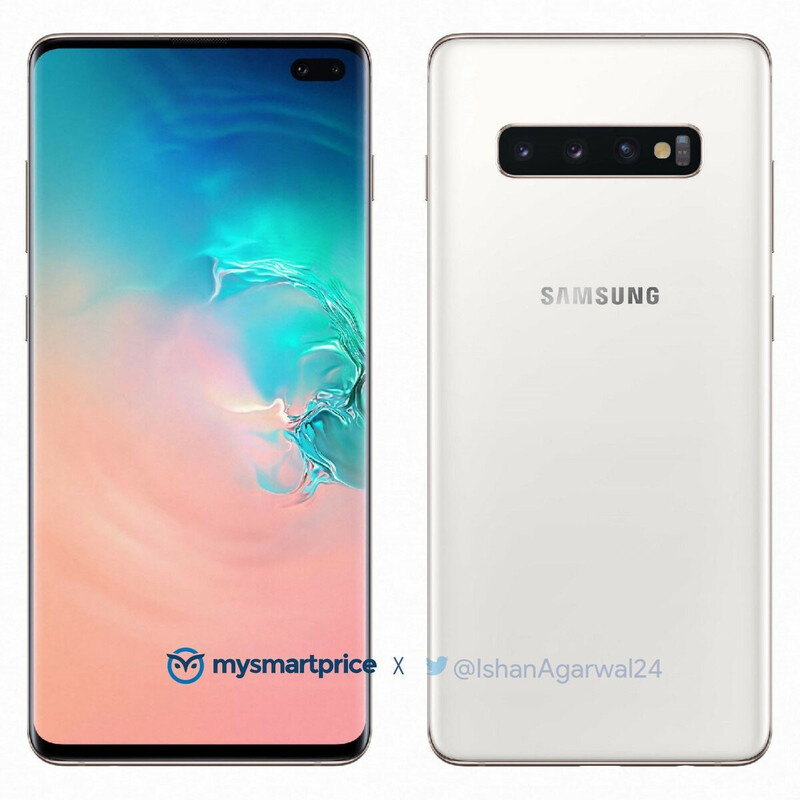 As far as size is concerned, the Samsung Galaxy S10+ has a 6.4” display and measures in at 157.7 x 75 x 7.8mm, while the regular Galaxy S10 sports a 6.1” display and measures in at 148.9 x 70.9 x 7.8mm, which makes the two relatively compact all things considered. On a final design note, an aluminum frame is sandwiched between the glass panels. Towards the bottom, Samsung has included a USB Type-C port alongside a speaker and a 3.5mm headphone jack. This is paired with a microphone on top and the SIM card tray. Also, as with recent Galaxy flagships, this particular model includes a volume rocker, a power key, and a dedicated Bixby button. 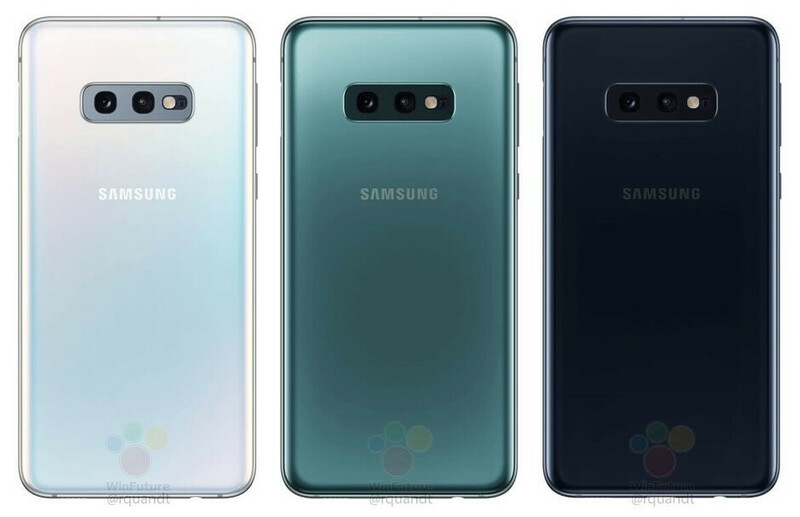 The Galaxy S10 and S10+ will both be available in Pearl White, Emerald Green, Prism Black, and blue. 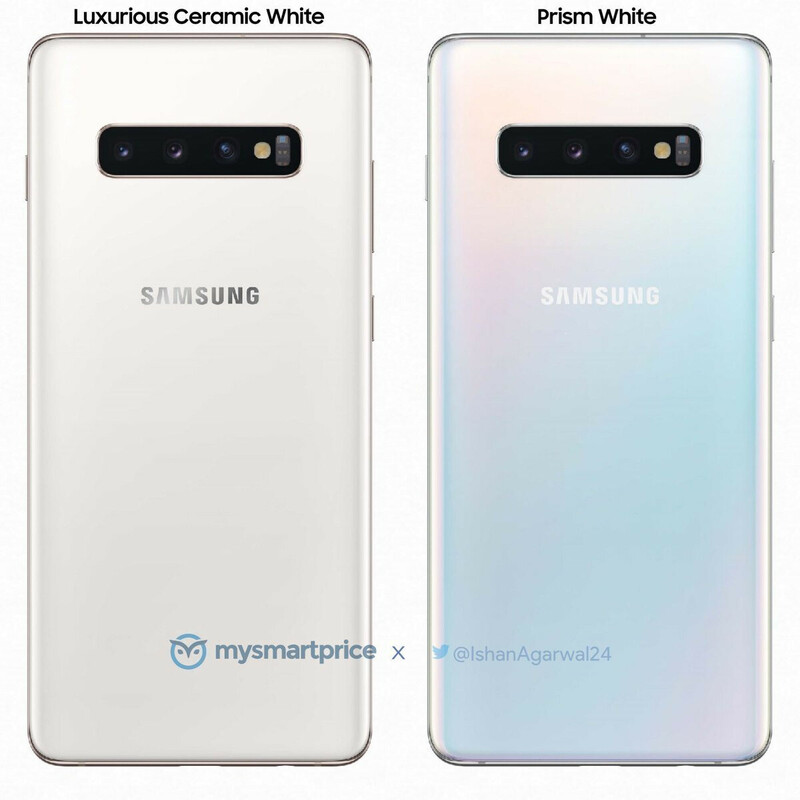 Two new color options - Ceramic Black and Ceramic White - are expected to be released for the Galaxy S10+ at a later date. 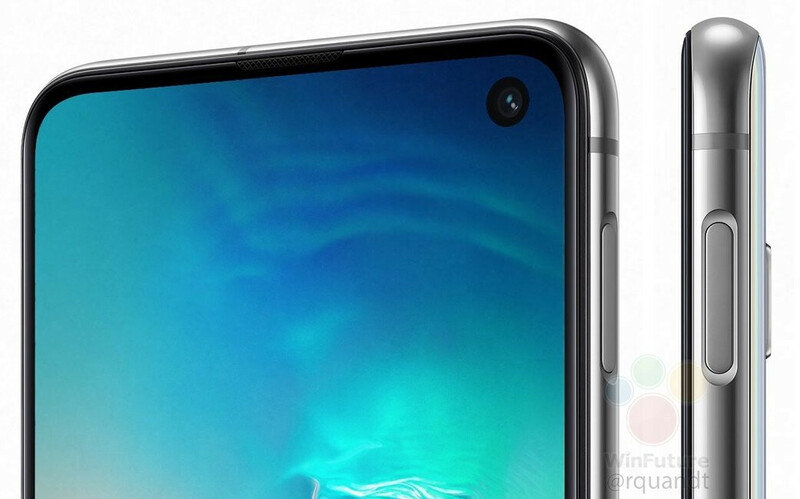 Aside from camera holes in the display, the two devices will be the first Samsung devices to employ ultrasonic in-display fingerprint scanners, which are expected to be much faster and reliable than the somewhat slow-working optical scanners that can be found on the OnePlus 6T and some other Chinese phones. As usual, we expect all Galaxy S10 versions to be powered by different chipsets depending on the region they will sell. As is tradition, the US versions be graced with a Qualcomm chipset, the Snapdragon 855 in this case, whereas Samsung's own Exynos chip family will power up the devices elsewhere around the globe. It is speculated that the Exynos 9820 will be the one in question. Memory-wise, the Galaxy S10 and S10+ will be available with 6 and 8GB of RAM. The most spec'd-out version of the S10+ is very likely to feature the jaw-dropping 12GB of RAM, which is a party-stopper of its own. Storage-wise, the S10 will come in 128 and 512GB of native storage, while the Galaxy S10+ will be available in 128, 512GB, and 1TB storage options. All models are expected to come with microSD card slots for further memory expansion, though it's highly unlikely that you'll ever need to do that. The regular Galaxy S10 will come with a 3,400mAh battery, while the S10+ could feature a 4,000 or 4,100mAh battery (the jury is still out on the actual capacity). Both the Galaxy S10 and S10+ will arrive with three cameras at the rear. The main one which you'll be using the most will be a 12MP endeavor with variable F1.5/F.2.4 aperture, aided by a 16MP wide-angle camera that will have a much larger field of view and fit much more in a single image. he Galaxy S10 series will follow in the footsteps of last year’s Galaxy S9 models by feature variable aperture 12-megapixel cameras on the rear. The addition will mark the first time such a camera has been included on a Samsung flagship and means consumers will be able to capture a lot more in their images. This time around, though, improvements to both daylight and low-light photography are to be expected, as well as changes in how colors are reproduced. Lastly, the third camera at the back will couple up a 13MP sensor with a 2x telephoto lens, pretty similar to the one on the Galaxy Note 9 and Galaxy S9+ that precede it. All rear cameras will have optical image stabilization (OIS). While the specs of the frontal cameras of the two devices are still unknown, they could allow for 4K video capture and OIS of their own, which would definitely amp up their video call game immensely. While the Galaxy S10e will likely sell for around $699, the S10 will start at early $899 for the base 6GB/128GB version. At the same time, the basic version of the S10+ with 6GB of RAM and 128GB of storage will likely start at $999. Needless to say, the more RAM and storage you start adding up, the higher the prices will go, with the top-end version of the S10+ expected to command a nearly $1500 price tag. 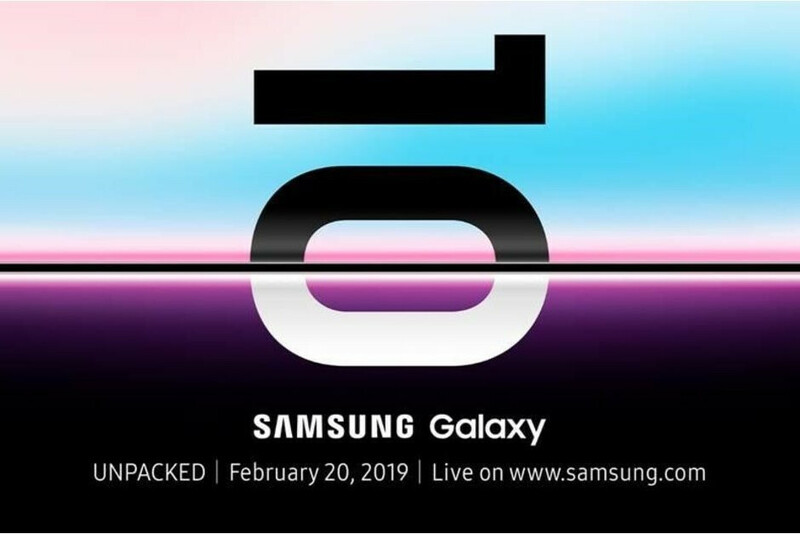 The Galaxy S10e will go official on February 20 with pre-orders going live shortly after, followed by a possible global release on March 8. Internally known as SM-G970U, this one is expected to be the cheapest Galaxy S10 variant by far and will be Samsung's answer to the iPhone XR. In terms of design, it will mark Samsung's return to the flat-screen design that hasn't been used since the Galaxy S7 days. Just like all flagship Samsung devices in the past few years, the S10 E will be fully comprised of glass and aluminum, which would technically allow for wireless charging to be part of the feature list. A trendy punch-hole design will be used instead of a notched display. There won't be an ultrasonic in-display fingerprint either - a regular sensor will be embedded in the power button on the side of the device instead, most certainly for cost-cutting reasons. If you wish to get one of those, you will have to opt out for the more expensive models. 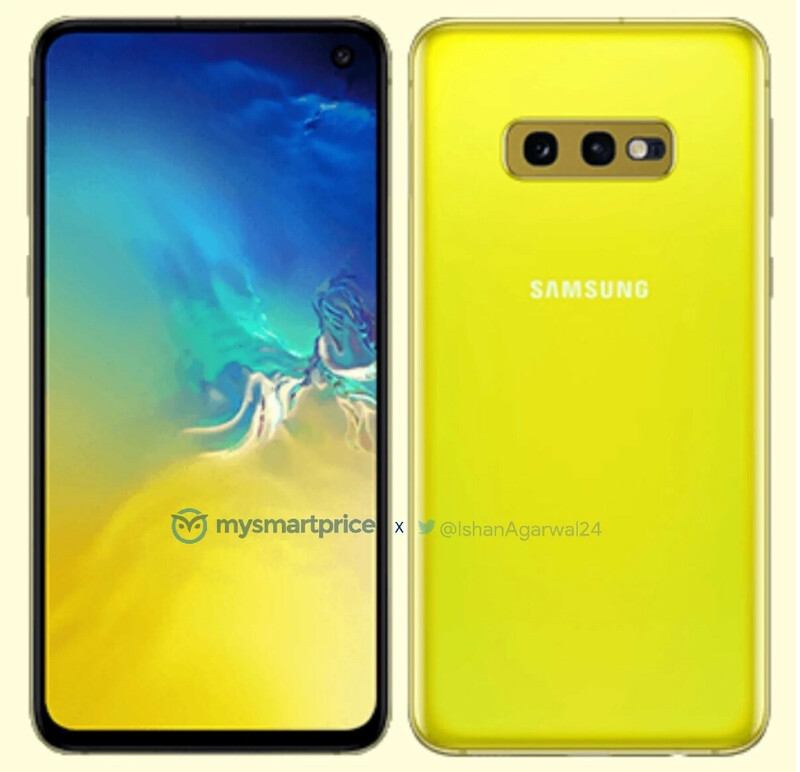 In terms of colors, the S10 E will be available in black, white, blue, green, but it could also come in a slew of exclusive color schemes, namely yellow and red. Coincidentally, that sounds very similar to the paintjobs that the iPhone XR comes in. The cheapest Galaxy S10 version will come with a 5.8-inch Super AMOLED display, most likely a FHD+ one though we wouldn't be surprised at a QHD+ panel to make the rounds. 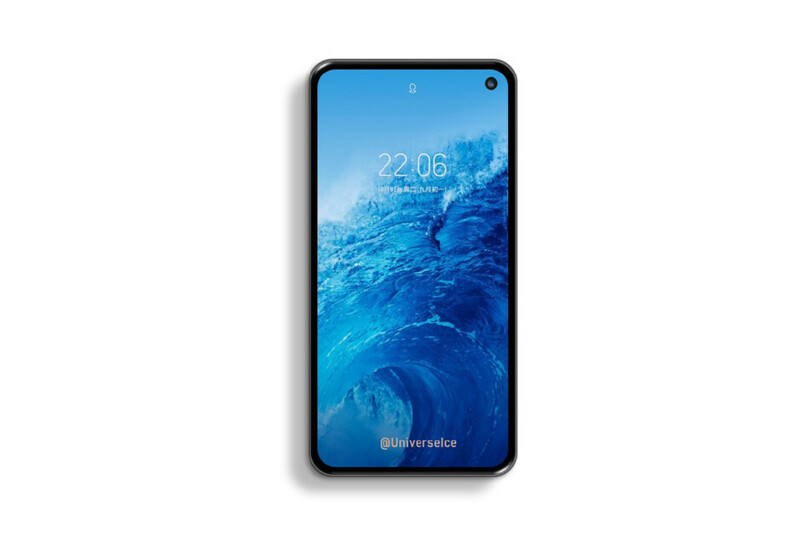 What's more, the Galaxy S10 Lite will employ an Infinity-O display with a punch-hole to accommodate the front-facing camera, which will be similar to what the larger Galaxy S10 and S10+ will also employ. According to numerous becnhmarking leaks, the Galaxy S10 E is by no means an entry-level device as it's scoring rather highly on either Geekbench and the AnTuTu benchmarking databases. handset as packing a generous 6GB RAM and a Qualcomm-made processor with a motherboard codenamed “msmnile.” The latter corroborates with the Snapdragon 855, which means that the US-bound version of the device will most certainly be powered by Qualcomm's fastest chipset yet. Meanwhile, the international version of the device will likely be powered by Samsung's own Exynos 9820 chipset. Storage-wise, the S10e will likely only be available in 128GB of native storage. If this is someone insufficient, the microSD card slot on deck will allow for easy expansion. The whole-shebang will be powered by a 3,100mAh battery, which would happen to be a whole 100mAh more than the battery available in last-year's Galaxy S9. Paired with a faster, and therefore more efficient chipset, the Galaxy S10 E has the potential of being a real battery champ. 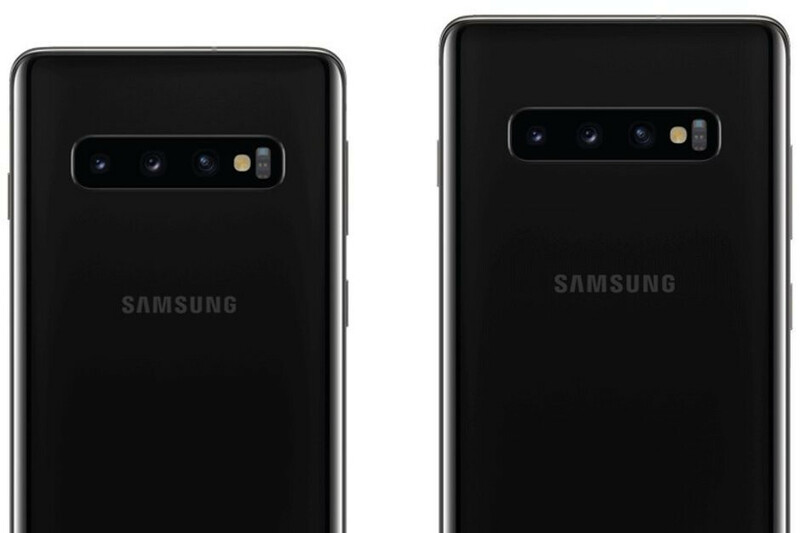 One of the bigger differences between Samsung's different S10 variations will be the number of cameras you'll get, and the total tally for the S10 E will be three - one at the front and two at the back. Positioned in a horizontal fashion, the first of these is understood to be a 12-megapixel variable aperture camera (f/2.4 during the day and f/1.5 at night, similar to S9 and Note 9), which hints at very good low-light performance. Meanwhile, the second one is rumored to be a 16-megapixel wide-angle snapper, allowing users to capture much more in their photos. This setup is, of course, accompanied by the usual LED flash. 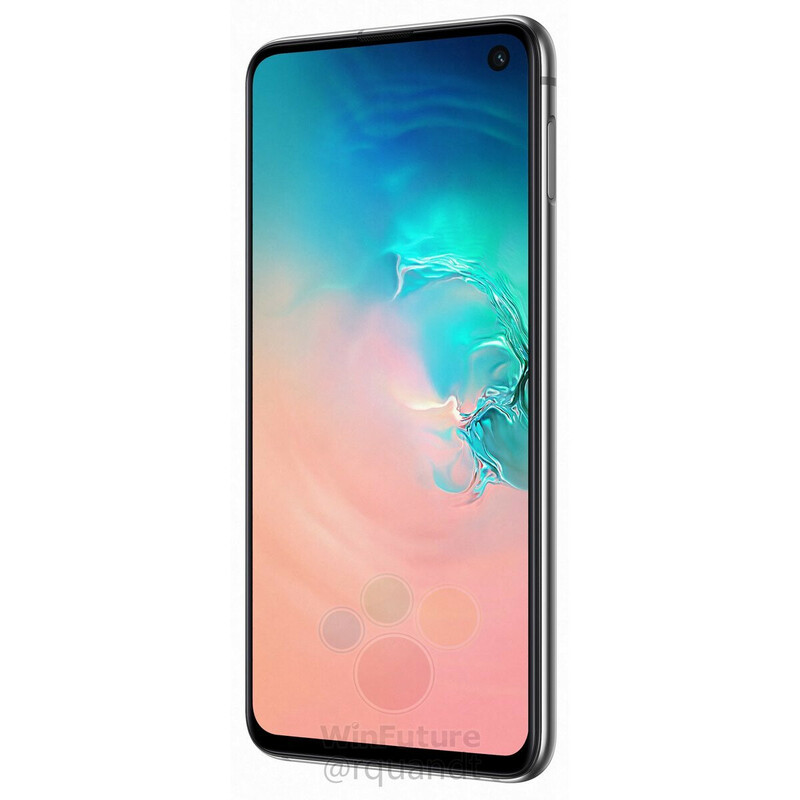 The predicted price tag of the Galaxy S10 E in the US is $699, which would position it as the main rival of the much-pricier 64GB and 128GB versions of the iPhone XR, which retail at $749 and $799 respectively in the US.